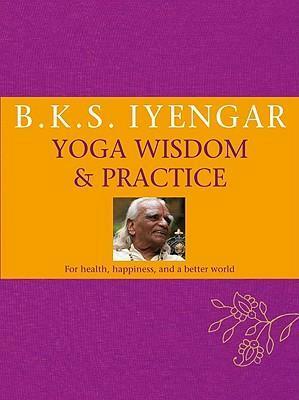 “Iyengar Yoga Wisdom & Practice” is a practical and an inspiring anthology of Iyengar’s insights into yoga, life and the path to peace and happiness. Yoga practice lies at the heart of the book, and it is illustrated with over 60 new step-by-step sequences of yoga postures specially shot in India and accompanied by Iyengar’s illuminating observations on technique, their significance, and their benefits. This book not only presents Iyengar’s practical advice on how to perform key yoga postures, but also draws on a wide range of other material taken from interviews and world lecture tours, to the many texts Iyengar has written about yoga and about his own life’s journey.